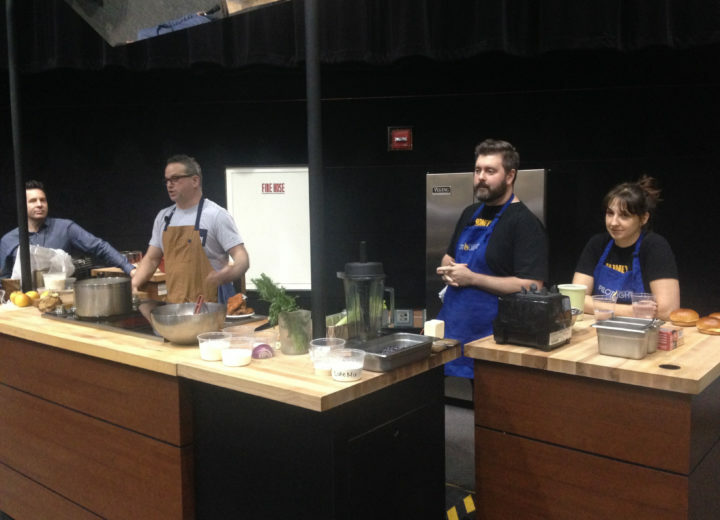 Another great Good Food EXPO — the 14th annual rendition of FamilyFarmed’s biggest annual event — is in the books. 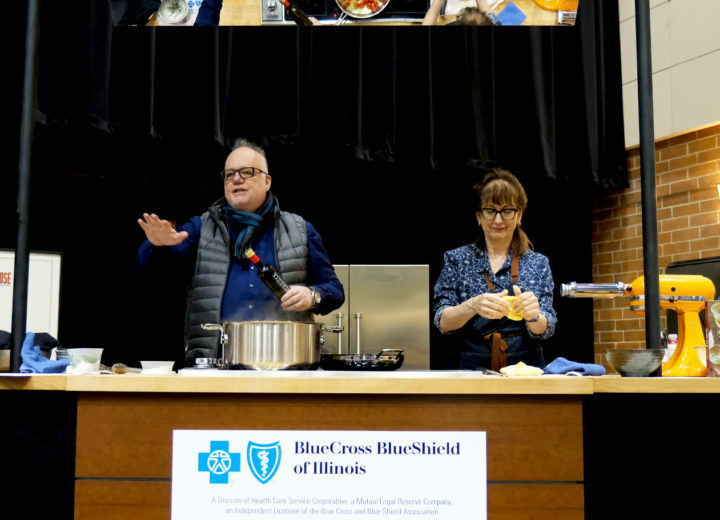 Thanks to all the participants — speakers, panelists, industry experts, farmers, food product makers, buyers, sellers, investors, and more than 5,000 members of the public — who presented, exhibited, did demos and conducted workshops on March 23 and 24 at Chicago’s UIC Forum. You made the EXPO a huge success! And, of course, heartfelt thanks to our Good Food EXPO sponsors. … followed byan Opening Symposium on regenerative agriculture and the debate over a “regenerative organic” label. There were two panels on FamilyFarmed’s important, new Good Food Is Good Medicine program. This year, FamilyFarmed brought two of its nationally renowned farmer training workshop programs to Chicago as part of the EXPO: one on On-Farm Food Safety and the federal Food Safety Modernization Act and the other on Wholesale Success, the hub of our training programs — led by longtime organic farmer Atina Diffley — that have provided instruction and manuals to more than 14,500 farmers in 43 states. Good Food trade buyers connected with farmers and food producers at our Industry Networking and Meet the Buyers Reception. And here are scenes from some of our other great panels. … and Yoram Shanan of Sandbox Organics in Grayslake, Illinois, selected by the Routes to Farm member organization as the Beginning Farmer of the Year. …. And Andrew Zimmerman of Sepia and Proxi, winner of the 2018 Jean Banchet Award for Best Chef. 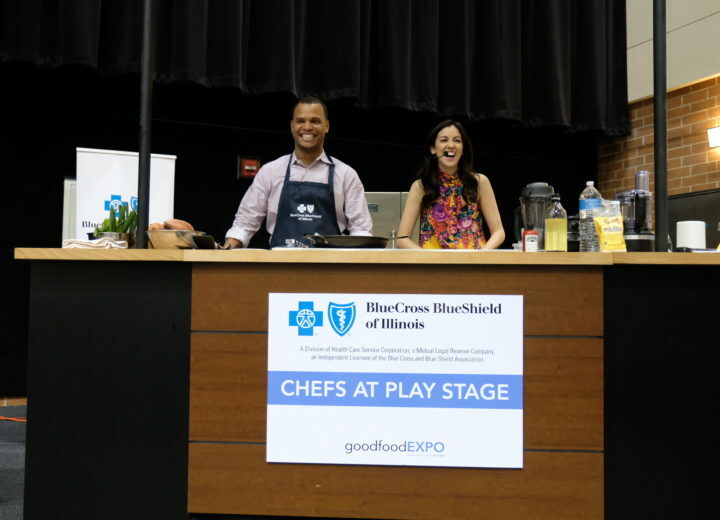 Yet even with all the amazing talent among our presenters, our exhibitors — many of the best farm and food businesses in the Midwest — are the heart and soul of the Good Food EXPO. Thanks to all of our attendees who visited the exhibitors, sampled their food… and bought some to take home with them! In summary, a HUGE THANK YOU TO OUR VOLUNTEERS, PARTNERS, VENDORS, BUYERS and FRIENDS of FAMILYFARMED. FamilyFarmed has two big events coming up this spring… tickets are on sale!